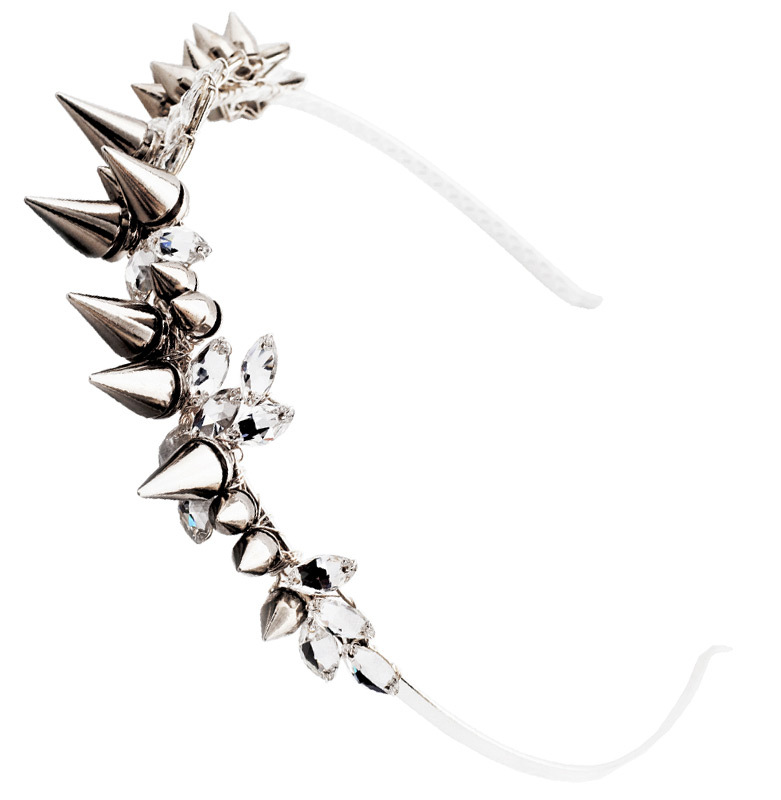 Unique and strong in design, the Rhea headband is the on trend piece that offers something quite daring but infuses a touch of femininity and beauty. Metal studs, Swarovski crystals and silver plated wire are carefully connected to create the wonderfully different Rhea headband which is suitable for most hair types. Take a step away from the traditional bridal look and experiment with being unique and creative.